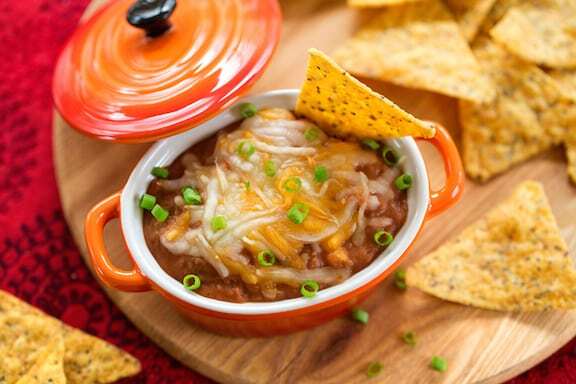 This vegan hot bean dip so simple it barely qualifies as a recipe. But it’s so tasty that it hardly matters. Serve with plenty of good-quality tortilla chips. Or scoop some of the hot dip into a thermos to pack as an offbeat lunch for school or office; pack the tortilla chips separately. Photos by Hannah Kaminsky. 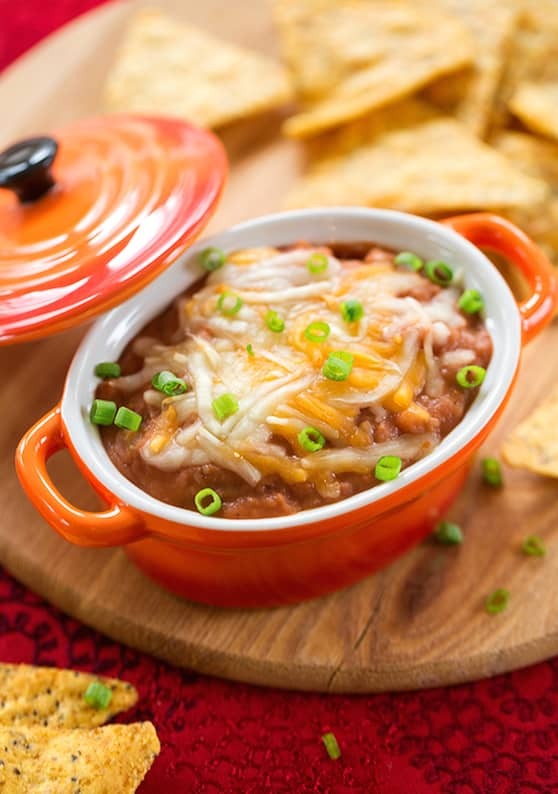 This vegan hot bean dip so simple it barely qualifies as a recipe. But it's so tasty that it hardly matters. Serve with plenty of good-quality tortilla chips. Transfer half the bean mixture to a serving bowl. Sprinkle with half of the optional scallions and half of the cheese. Pour in the rest of bean mixture and pat in evenly. Sprinkle with the remaining optional scallions and the remaining cheese. Microwave briefly if you’d like the cheese to be more melted. Place in the center of a platter and surround with tortilla chips.